Ganttic allows you to filter your tasks, projects, and resources by title or any other custom data fields, enabling a quick and direct way to retrieve a filter’s information easily. Filters are available in charts and reports. 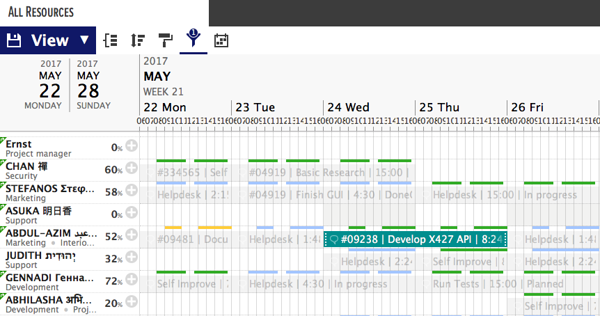 Filtering tasks is a good way to find out who's doing what or to make changes without having to find it in the Gantt chart area. Filters can be saved to the view or used on the go as a search feature to quickly find a task. 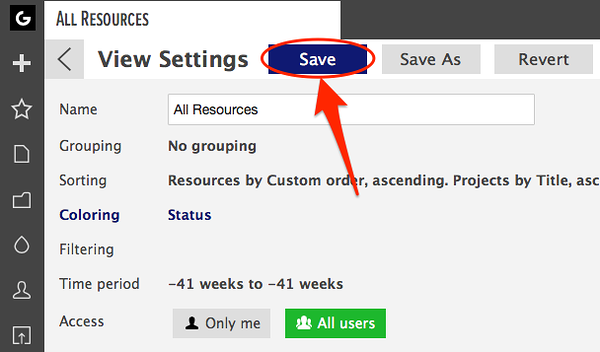 You can filter tasks using task titles or custom data fields. The related search results will show up below. Choose the IS NOT rule to exclude selected filter criteria instead. Click on 'Apply' once you are done. Other tasks will be transparent in the background. Click on 'Apply' to complete the action.